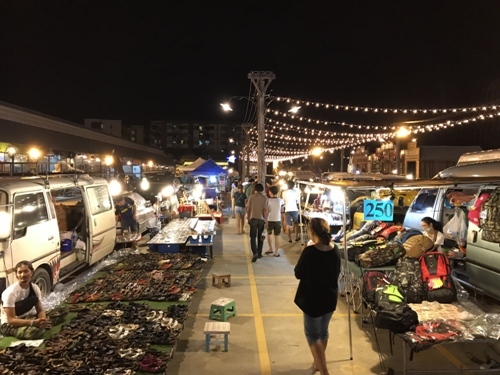 One of the largest and unique night markets in Bangkok, Rod Fai (English translation: train) got its name from its former location next to the train tracks behind the popular Chatuchak weekend market. 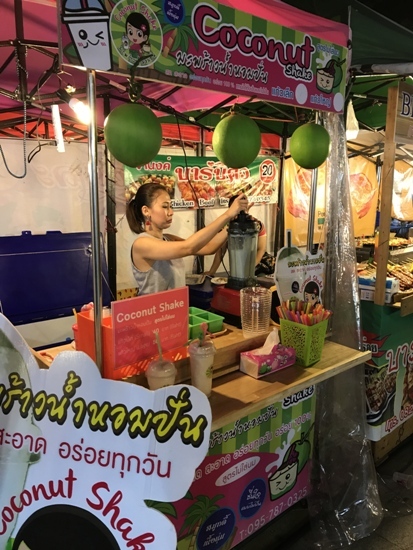 The market was forced to move to its current location due to the expansion of the BTS Skytrain line in 2013. 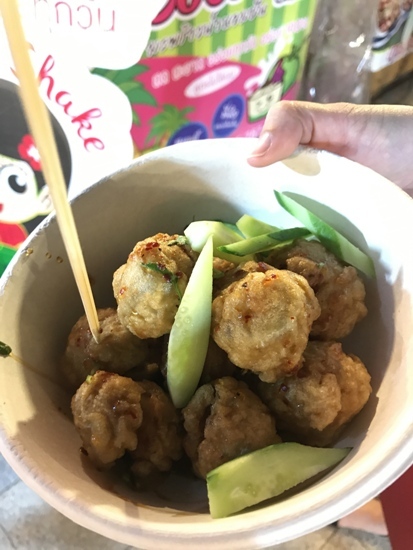 Using public commute to the night market can be confusing so best way to get there is via taxi or in our case, the ever reliable Uber. 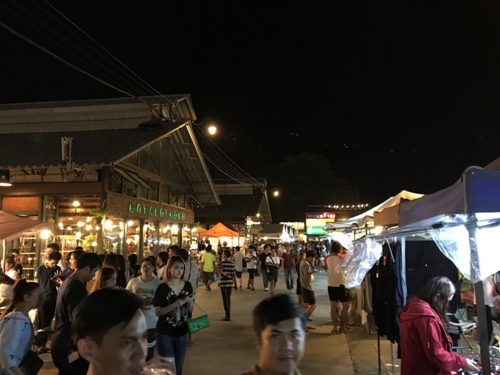 Open on Thursdays to Sundays from sunset to midnight, Rod Fai is an open-air bazaar selling an incredible assortment of products from vintage memorabilia, collectibles, antiques, furniture, fashion items and many more. 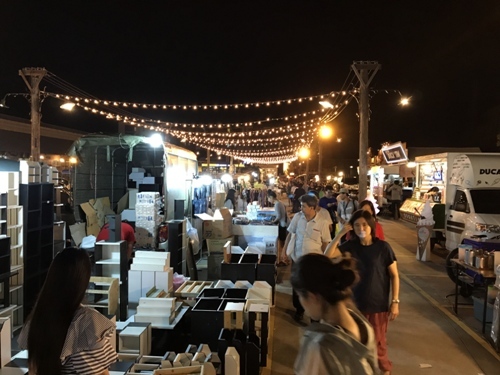 The vast Rod Fai night market is divided into three sections: Market Zone (trendy clothes, shoes and bags, house ware and children's toys), Warehouse Zone (second-hand accessories, clothes and shoes, old appliances and used auto parts), and Rod's Antiques (vintage and rare items sourced from all over the world like classic cars, motorbikes, arts, collectibles and gas pumps). 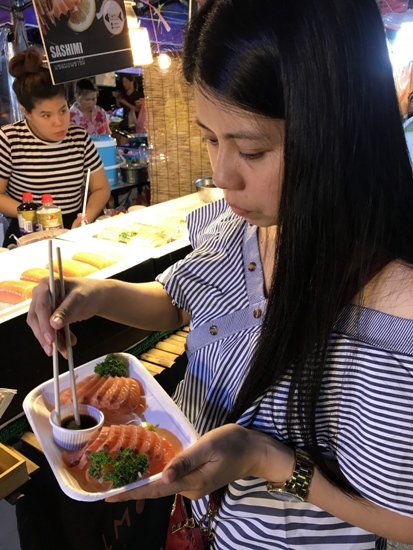 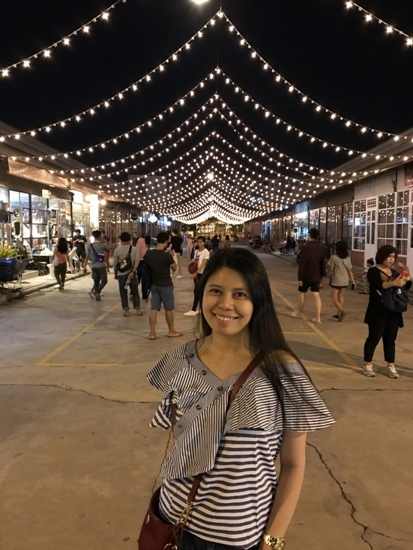 While Rod Fai is famous for its unique shopping experience, it was mainly the variety of street food that enticed us to visit this night market located an hour Uber ride away from our hotel in Sukhumvit. 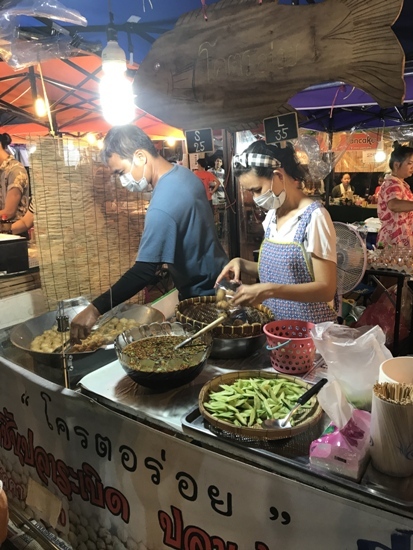 Makeshift stalls are neatly lined up offering an array of affordable street food such as edible insects, barbecue and other sizzling meats, salmon sashimi, fried noodles, ice cream, cakes and other sweets, iced coffee, fruit shakes and traditional Thai food and drinks.